Good morning, Friends! Spring break is awesome! Sleeping in feels so great! I love it! And the weather is really cooperating! Another gorgeous day and probably more mountain biking. I know Nick will be ready to go as soon as he wakes up - lol! And I am thankful that my husband takes him! Someday I might go for a spin but I will be taking it nice and easy!! Today's card was inspired by one in the Stampin' Success magazine. Thanks for stopping by! 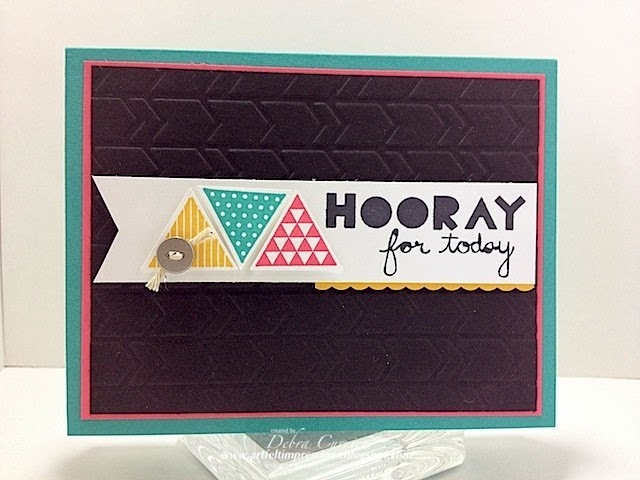 Don't forget to sign up for the Create with Connie and Mary Card "Create"tions edition! Mary has an adorable preview for you today! So be sure to go and see it! Here is some more information. The Create with Connie and Mary Card "Create"tions PREVIEW starts March 25 and the session runs from March 30 thru April 19! All of this for only $19.95! !